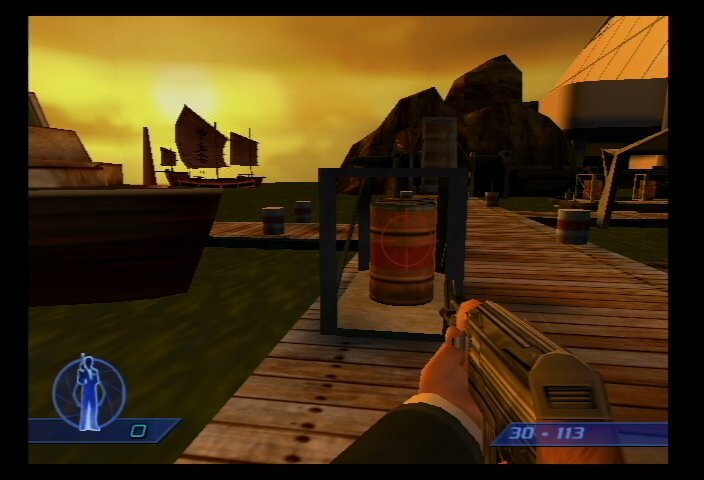 Cue the jazzy horns, drums and tremolo-drenched guitar, remember to shake up that Martini too, because it’s time for a retro review of the somewhat overlooked PS2 title: “James Bond 007: Agent Under Fire“. 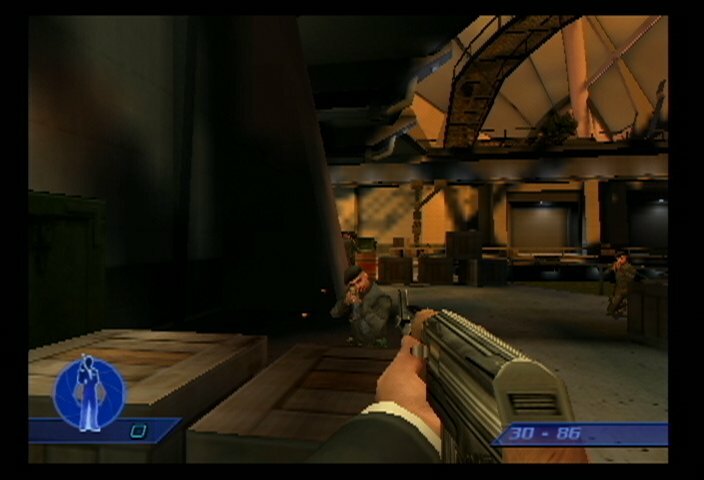 Straight away, most will want to compare this Bond outing to its mega-famous and popular predecessor, “Goldeneye”, for the Nintendo 64. Assuming that you’re apt to do this of course, you’ll only find disappointment however as it’s quite different in terms of overall gameplay and style. 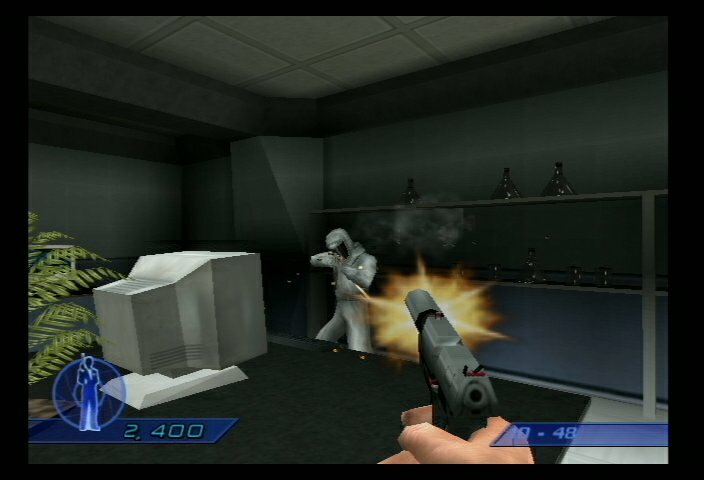 Perhaps one of the most notable features of this particular PS2 title (at least within the James Bond Canon) is that it was one of the first to deviate from the movie franchise with an entirely original story. Nevertheless, it takes full advantage of all the classic Bond tropes in a way that never makes it feel like an understated rip-off. You’re still essentially seeing the classic Bond elements taking shape here – larger than life villains, frantic gun battles and high-speed car chases. You begin by infiltrating a Hong Kong facility in an attempt to locate a mole working from within Identicon Corporation. After rescuing agent Nightshade from her bonds, having been discovered and captured, you escape and set off to retrieve a series of blood vials containing samples from important world leaders as part of a plot to clone and replace them. Needless to say, there’s plenty of intrigue, action, infiltration and exotic locales to explore. Speaking of driving, you actually got move from the passenger seat to take direct control over your Aston Martin in Agent Under Fire, which again, was something of a first. Add to this some excellent rail-shooting and plenty of generic gunplay and you have a game that plays out a bit like an interactive movie of sorts. One of the things in particular that underscores the action side of the game are the “Bond Moments” which can be triggered by completing certain unique actions. Upon activating one of these you’re treated to the 007 logo flashing across the screen accompanied by the iconic bond theme. Nevertheless, when you’re in the midst of blasting a room of baddies or blowing something up, these moments greatly enhance the overall experience, making you feel a bit like a suave secret agent. To complement the largely pedestrian combat we find Bond having access to plenty of gadgets as well. While they tend to serve only as interesting devices to facilitate certain unique objectives (or perhaps as a tool to move past an obstacle), they are interesting to mess around with and true to form from a franchise standpoint.